The Supreme Court on Monday allowed the Centre to withdraw four of the eight companies of Central Armed Paramilitary Forces (CAPF) from Darjeeling and Kalimpong in West Bengal in the wake of the upcoming Gujarat elections. 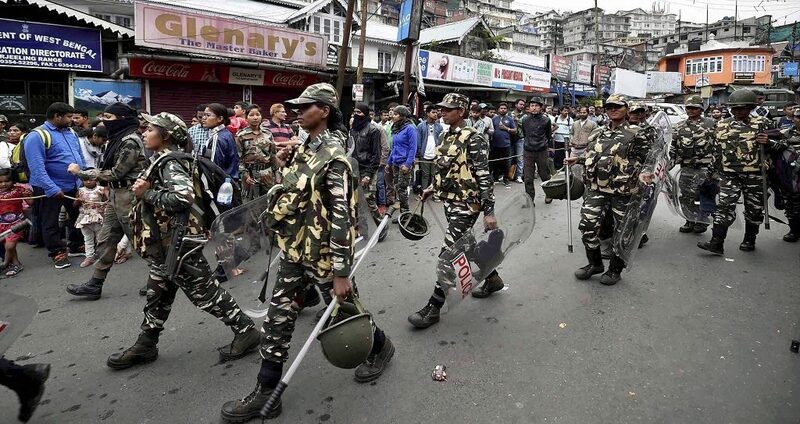 The forces were deployed there following the protests in the hills over the demand for a separate state of Gorkhaland. A bench of judges headed by Chief Justice Dipak Misra agreed to the Centre’s plea to relocate half of the remaining paramilitary forces from the state’s strife-torn districts to the poll-bound state. The top court on October 27 had allowed the Centre to withdraw seven of the 15 companies of CAPF from the districts. The decision came after the Centre filed a petition saying that the forces were required in the poll-bound states of Gujarat and Himachal Pradesh as well as along the borders of Jammu and Kashmir and in the north-eastern states. In its plea, the Centre also argued that the internal security situation of the country cannot be ignored before taking any decision of troop deployment to states. 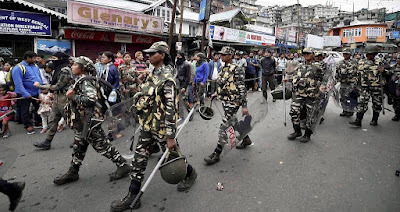 The forces were allocated to West Bengal after the state government had asked for security during the Gorkha Janmukti Morcha statehood agitation in Darjeeling. Complying with the request, a total of 12 CRPF and three SSB companies were deployed in the state. After the strike ended, the Centre decided to withdraw a few companies from the region. The Mamata Banerjee-led state government, however, objected asking the Union home ministry to extend the deployment of forces till December 25. The Centre, in response, said the situation in the hills had improved compared to July when the troops were initially positioned. The Calcutta High Court had then stayed the withdrawal after Mamata Banerjee approached it. The decision was, however, overturned by the apex court. The Supreme Court on Monday allowed the Centre to withdraw four of the eight companies of Central Armed Paramilitary Forces (CAPF) from Darjeeling and Kalimpong in West Bengal in the wake of the upcoming Gujarat elections.